At 3rd Traffic Light, Turn Right (Cooper Street) (Exxon & Dunkin Donuts on corner). 4th Street on left - Highland Ave.- sign for Johnson Library and NJ Motor Vehicle Inspection Station. 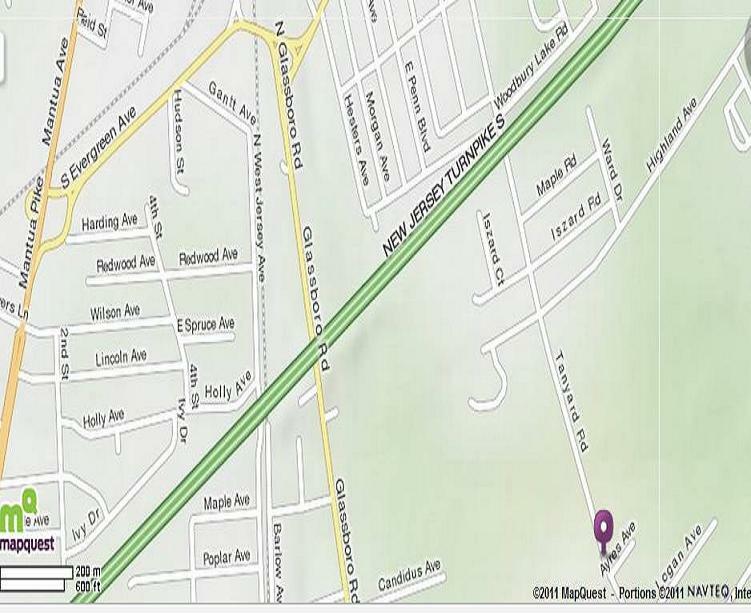 Follow Highland Ave. for 1.1 miles to light at Tanyard Rd. Turn Left onto Tanyard Rd.- MV Stations is on right and Gateway Regional High School is next to it. Administrative offices are across the street from the school. Gateway Regional High School is one mile down on the Right. Continue straight on Rt. 544 to a 'T' Intersection. Turn RIGHT onto Cooper Street, go through the next intersection of Cooper and Rt. 47. Just before going over the over pass, turn LEFT onto Highland Ave.
At the second traffic light turn LEFT. Follow Tanyard Rd. for 1.5 mile. Gateway Regional will be on your left.